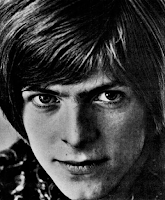 TBT: David Bowie (1947-2016), "Heroes". David Bowie, who died Sunday, was one of rock's protean figures. As he says in the interview shown in the video embedded in the linked BBC piece, "I'm a collector. and I've always just seemed to collect personalities; ideas...."